You’ve got to start somewhere and with hard work, a lot of hustle and a hunger to learn, working your way from bus boy to partner can be a realistic career path. These guys did it! 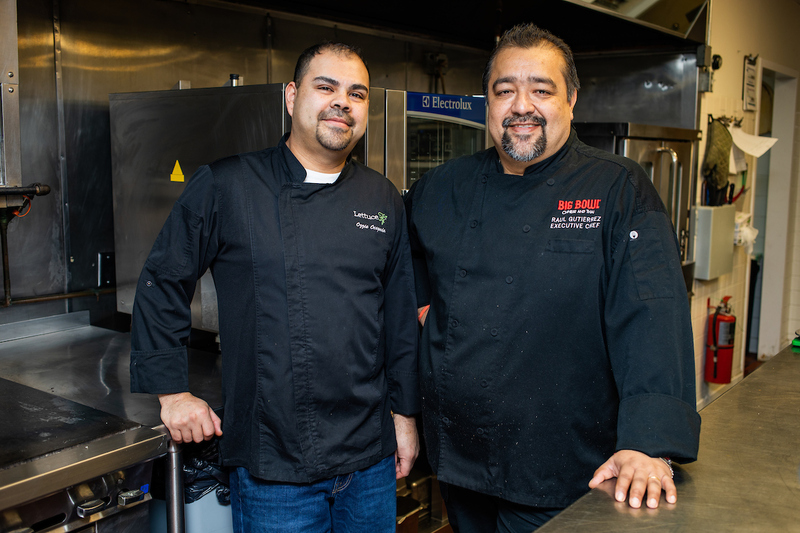 Meet executive chef partners Raul Gutierrez and Osvaldo Ocegueda (Ozzie): whose partnership has spanned 6 states, more than 20 Big Bowl openings and countless kitchen memories. 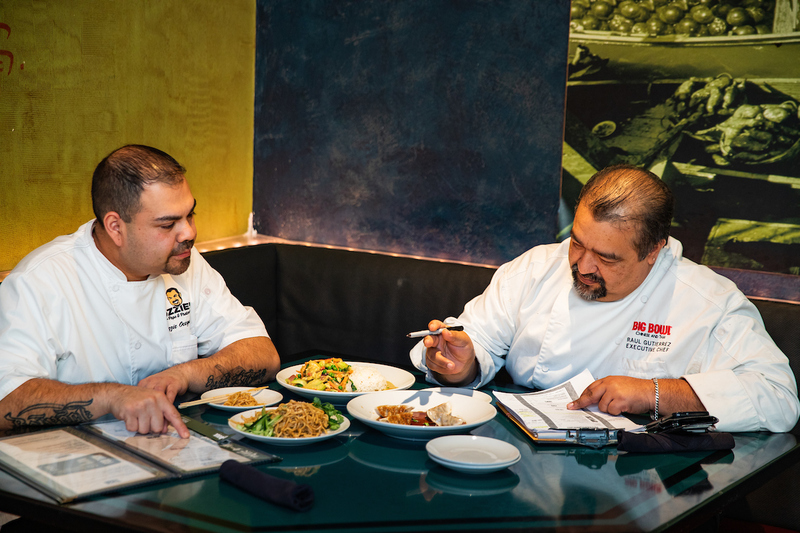 These two chefs are a success story in not only creating their own career trajectories at Lettuce Entertain You, but also in teamwork and today, they are training their teams on why it’s so important to work together. Raul started at LEYE in 1986 as a busboy at R.J. Grunts and eventually found what would be his home for the next three decades with Big Bowl. Ten years later, Raul met Ozzie, who was hired to be a carryout packer at Big Bowl on Erie St. in downtown Chicago. At the time, Raul was the chef and on Ozzie’s first day of work, Raul became the proud father of his son, ironically also named Ozzie. It was no surprise that when Raul returned to work after his son was born that he and their newest hire clicked. Ozzie was eager to learn and help Raul with any task from chopping onions to writing orders. 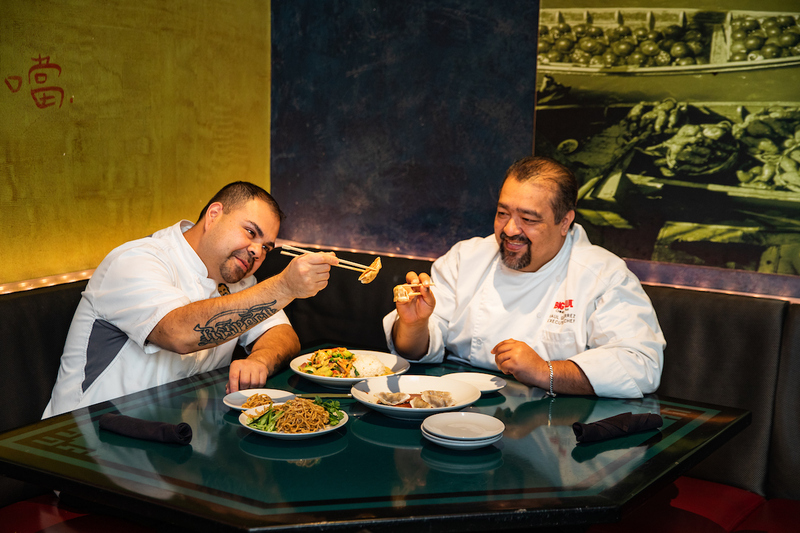 Raul schooled Ozzie on the unfamiliar Asian ingredients in the Big Bowl kitchen, taught him how to work a wok; Raul even asked Ozzie’s mother if he could accompany him to Minnesota when the duo helped the team open Big Bowl Edina. 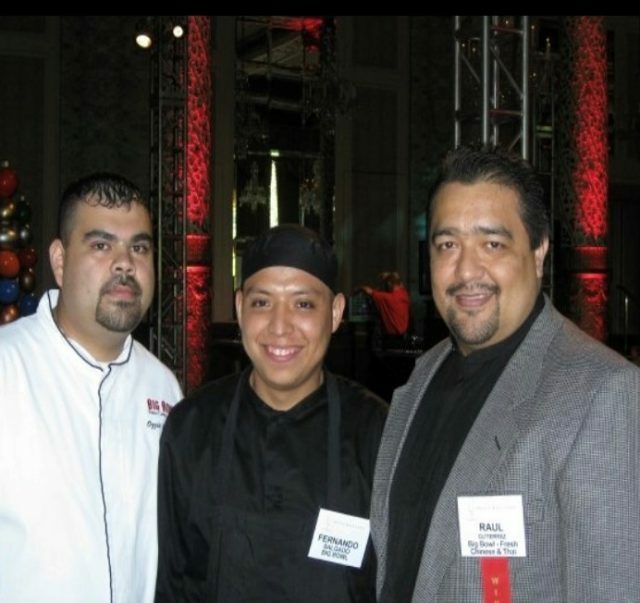 “The turning point for me was when Raul promoted me to chef. I went from learning everything from him to now challenging each other, every day in the kitchen as peers,” says Ozzie. The two stress that a little friendly competition is healthy, but open communication is a must. By holding each other accountable, being able to have those tough conversations and offering up unconditional support; that is the recipe to being a good teammate. It’s always a good idea to find someone who complements your weaknesses with their strengths, or better yet, motivates you to be the best version of yourself. These two have undoubtedly helped to shape the success of one another and when asked: Why do you think you’ve been more successful together? “We trust each other and when we really need to get something done, I can rely on him to do it,” says Raul. “I have always known he will be there. 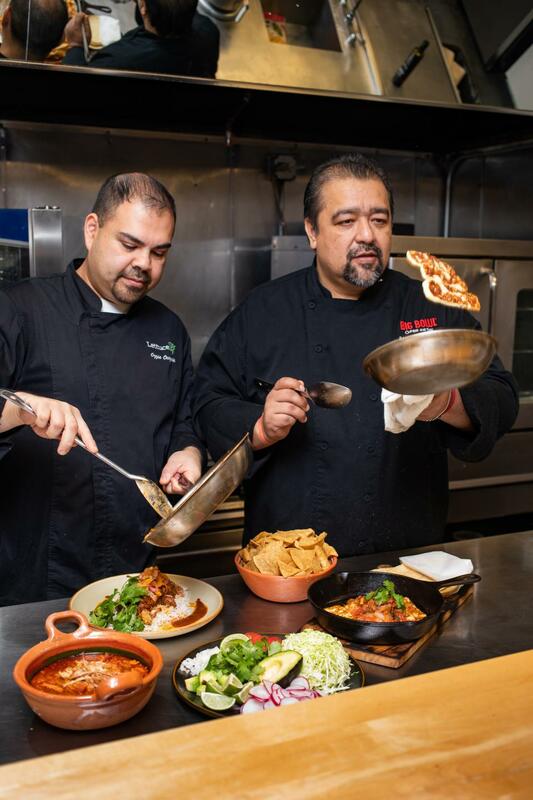 When I was gearing up to open my first restaurant, I told him I was swamped and without even asking, Raul took three days off work and was by my side at Navy Pier to help me get my restaurant open,” says Ozzie. Now back to a little friendly competition. After all of these years of working together, we asked them: Who made it better? Their story may have started out as one of teacher and student, but has developed into a partnership and friendship. As their friendship flourished, they made a pact that some day, they both would be named partners with LEYE. We are proud to say that in December 2018, just two months apart, both Raul and Ozzie reached their goal and were named Associate Partners at LEYE proving that teamwork, really does make the dream work! Today, Ozzie is full time with Lettuce Fly and just opened his namesake popsicle restaurant, Ozzie’s Pops & Pretzels at Navy Pier. 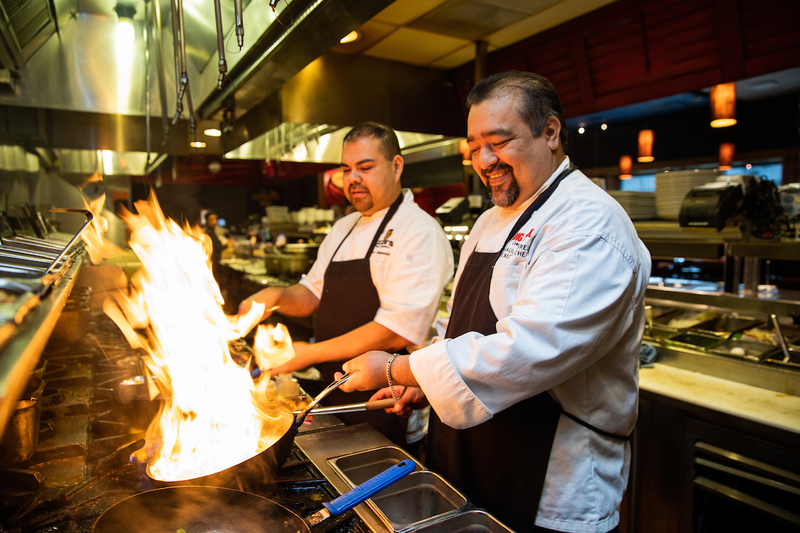 Raul oversees 7 Big Bowls as well as all of the Big Bowl Chinese Express locations as the executive chef / partner. What’s next for this chef duo? 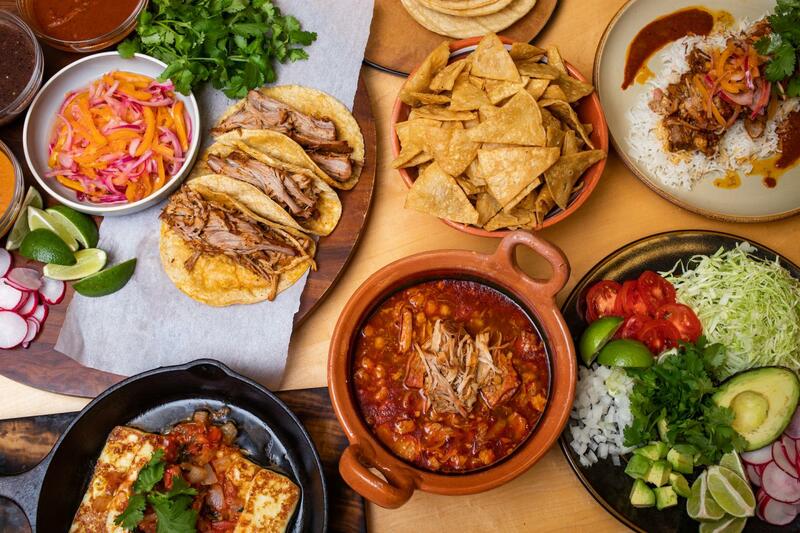 We trust that they’ll continue to collaborate in the kitchen making delicious tacos and popsicles, but most importantly, teach their teams the value of having great partners. Want more behind the scenes of life at Lettuce? Follow us @LettuceLife on Instagram for exclusive job postings, behind-the-scenes of restaurant openings, events and more. Click here to learn more about brewer Phil Stubstad! Click here to learn more about Senior Interior Designer, Avril Zayas.